Virtual Foster – Frank McReynolds. Some of you know Sassy’s story because you made generous donations to help with her extensive medical care as she came into rescue. Your concern and generosity are sincerely appreciated. Sassy had a prolapsed uterus and numerous tumors that required urgent care. Neither of these are small things for an 8 year old girl, but Sassy is recovering very nicely thanks to you, ABR, and her diligent foster mom. Her personality is showing more each day as she recovers and enjoys security and comfort. She has a dark fawn coat with a black mask, cute little underbite and just a smidgen of gray on her muzzle. 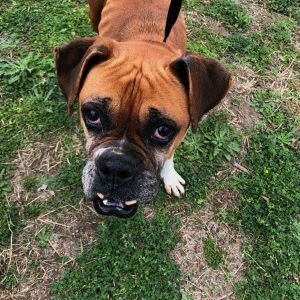 She is heartworm positive but ABR will help with treatment and it does not have to be difficult now. She is not symptomatic. It is taking some time to integrate Sassy with the other dogs in the house, partly due to her recovery, partly due to her feeling out her place in the pack, and partly due to the presence of cats. The other dogs have lived with cats all along, but Sassy has not. Her foster mom may train her to live with them peacefully, but she cannot be out with them so far. Sassy does a delightful hop up and down when she’s excited and she has more energy than you’d expect at her age and stage of recovery. She loves being with people and she can get along with the other dogs in the house. She doesn’t know what do do when one of them takes “her” bed, so she just stands there, waiting for the intruder to vacate her spot. She is house and crate trained. 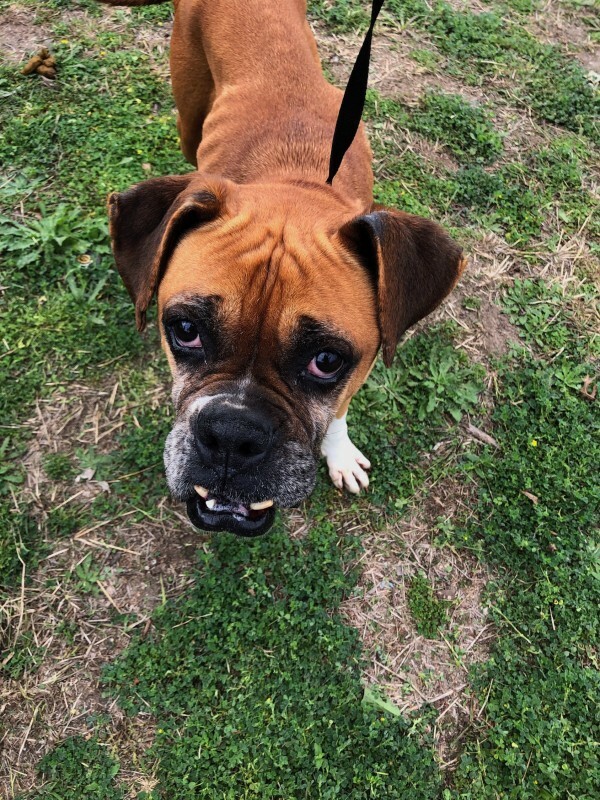 Sassy is a testament to the Boxer spirit, the generosity of people who love them, and the dedication of those who provide care for them. She has made remarkable strides along her journey from forgotten to family even though she has some distance yet to go. Loving, loyal, proud, stubborn and a little bit silly; Sassy is all Boxer.